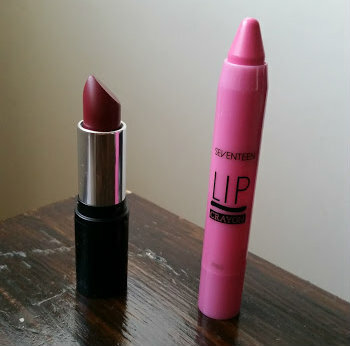 2 Seventeen Lip Products You Need To Try! If you didn't already know then I am a lip product addict, no matter what brand, colour or type I love all things lips. The newest additions to my collection are from Seventeen, a brand I haven't ever really discovered. 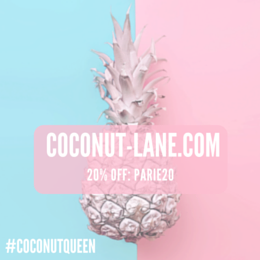 When I got the opportunity to test some out as part of their amazing Blogger Network I couldn't resist. Both are completely different to one another, but ones that you just need in your (forever) growing collection. First up we have a Lip Crayon in a shade that I have no idea of as I can't seem to find it on the packaging at all but nonetheless it is stunning. I would describe this as a 'baby pink but a muted one' in the sense that the crayon sheers it out. Thus giving you a your lips but better look and with a formula that isn't sticky it doesn't apply patchy on to the lips and gives your lips added moisture. 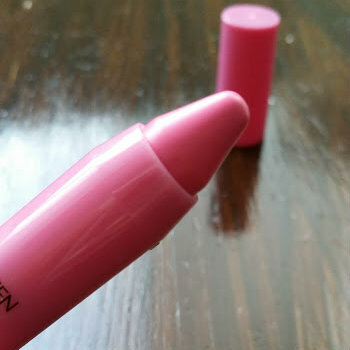 The finish of this lipstick is glossy which is very different from any other lip crayon I have tried as they tend to be matte, but the shine in this crayon makes me like it even more as it lasts all day. These lip crayons are one of those budget friendly products that you can have millions of and use them everyday for a quickie and keep them with you on the go. Then we have the Stay Pout lipstick in the shade ' Rule Breaker', my new favourite Autumn shade. As the weather gets colder berry toned lips are a must have and look great with any eye look. This range is relatively new to Seventeen and contains added shea butter to give your lips a hydrating feel. I love that all Seventeen products are made to give your lips a added moisturised feel. Rule Breaker is a lovely berry shade with blue undertones making it cooler and suitable for all skin tones. When I applied it, a little bit smudged but then I used a lip brush to get into the annoying bits of my lips and it was all fine. The packaging is very sleek and the lasting power of this lipstick is remarkable, no fading, bleeding or drying out for my entire shift 9-5. 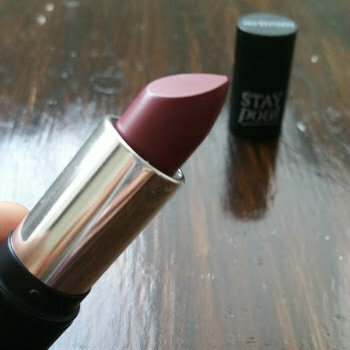 The Stay Pout lipsticks come in a whole range of colours and when I was browsing the Boots website I now have my eye on Date Night another one for Autumn. Both of these lip products are great quality, budget friendly and ones that you need to try. Have you tried anything from Seventeen?